I live in New York City or "the broken website everyone uses" as @xuhulk coined. Some days it is a truly marvelous place and other days, a marvel that anyone can even live here. I’ve looked for a general list of New York’s infrastructure problems but I have not found even a single one. While I could certainly go on about the things that are great about New York, I want to be able to be honest about the city’s shortcomings. A list of infrastructure issues would setup a focused prompt for conversations about where to start improving NYC. We may not be able to agree about what to do about any of these issues, but hopefully we can agree on the current reality. Here I’ve loosely documented some of the major pieces of physical infrastructure that are broken in New York City. The list does not include national problems that only incidentally apply to New York and focuses on issues that are best represented by our most populous and dense city. For the purposes of this piece, I’m defining infrastructure as "the basic physical structures needed to operate a city". Perhaps in a later list I can investigate the vast set of non-physical infrastructure systems like inequality, homelessness and schools. I don’t want this list to be something needlessly negative but a list to help us New Yorkers focus. If we want to talk about what making New York better, where should we start? Wikipedia does a very good job putting a positive spin on New York City’s environmental issues here. While broader than infrastructure and overly positive, it is worth a read. I learned that while NYC is responsible for 1% of the US’s greenhouse gas emissions, it makes up 2.7% of the total population — making NYC significantly more environmentally friendly than cities such as Portland and SF. Much like NYC, this document is intended to be a constant work in progress rather some authoritative unchanging thing. I am no expert on this, only an interested observer. If you have any recommendations please contact me or collaborate on the post on Github. I’ve you’ve visited absolutely any major city outside of the US, coming back to the trains in New York is always a bit of a drag. Our unreliable and messy train system, while once a point of pride, is a bit of a sore spot with the city. These old signals are why few lines have estimated arrival times for trains — due to these signals, no one knows where the trains are or how fast they are going. CBCT was installed on the L & 7 but took 18 years to install. Trash collection and processing costs 2.3b per year. The 10 year #OneNYC plan seeks to address the trash problem but doesn’t provide much clarity around specific changes that will happen over the next 10 years. Since closing the Fresh Kills landfill (due to local and EPA pressure) in 2001, there hasn’t been a local-ish way to dispose of ~50,000 tons of residential and commercial waste every single day. In spite of our ~100 year old water system that supplies 20 million people, we have some really fresh water. In NYC, our water comes from the Catskills and requires very little treatment. That said, we were teetering on potential water supply disaster for a while. Up until a few years ago, had a single 100 year old tunnel collapsed, we would have had 20 million people without water. Supply: Until late 2013, NYC only had two water tunnels. If either tunnel failed, NYC would be out of water for 2–3 YEARS. Construction on Tunnel #3 began in 1970 and it became operational in 2013 but is not complete. The final phase 3 and 4 of Tunnel #3 is expected to finish in 2020. 24 people have died building it. Tunnel #1 and #2 are ~100 years old and very leaky / broken but no one is sure how broken! If we turn off Tunnel #1 or Tunnel #2 to repair, we don’t know if we will be able to turn them on again. Since tunnel #3 is operational, the city plans to inspect and repair Tunnel #1 and #2 which have not been inspected since construction. This means that during floods, water from all these sources flows through the streets. Superfund sites on the National Priorities List such as Newtown Creek and the Gowanus Canal. Curious about what factors lead to this. Global warming? Maybe one day we will have FIOS. Until then, almost all New Yorkers are stuck with Time Warner which has a (near? )monopoly on internet and cable delivery in the city. Many New Yorkers feel that due to this monopoly, Time Warner does not deliver quality service or competitive pricing (it has 1.5 stars on yelp). Cell infrastructure is largely pretty good for most carriers but I haven’t found much information on it aside from consumer reviews. Many veteran New Yorkers will remember the blackout of 2003. After looking more into that, I learned that energy supply (both electric and gas) are very well developed and modern in NYC. But, the pies and delivery mechanisms for ‘last mile’ service are very old and leaky. Very recently, these old leaky pipes caused an explosion in the east village injuring 19 people. Check out this 3 part series on the environmental and economic issues around fracking in New York. As an avid biker, my experience with the roads is largely dodging potholes. My only accidents in 6 years of biking in the city have been with the road, not with drivers or other bikers. Over those 6 years, I’ve seen the road quality generally improve and the number of bike lanes (and bikers) expand very rapidly. While I vividly understand the plight of bikers in the city, I do not personally understand the experience of drivers in the city of New York. As a result, this information may be particularly biased and incomplete. He is credited with building every road in the city with ‘expressway’ and ‘parkway’ in its name — including the BQE, the Cross-Bronx expressway and the Triborough Bridge. Highly recommend the Bowery Boys podcast and reading The Power Broker. Since he had so much power, his classism and racism are built into the cities roads and lack of train infrastructure (he also stopped train development from 1930–1960). Pedestrian safety and "The Rule of Two"
There are certainly other infrastructure issues I haven’t listed here. I really struggled with where to draw the line on what constitutes ‘infrastructure’. When you think about it, virtually every social issue comes back to the infrastructure that supports or enables it. Infrastructure issues could include the low number of public schools, lack of affordable housing units and limited space in homeless shelters. 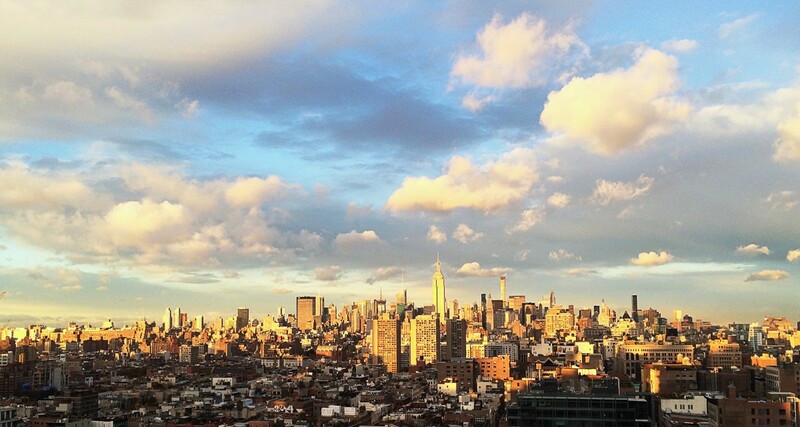 Inequality is a issues where NYC truly…shines. I struggled with whether to or how to include inequality as a topic in the list. But, I have not found a way to quantify inequality through its infrastructure related symptoms such as unoccupied luxury housing units or availability of affordable housing. I hope this list is a helpful as a broad overview of some of the issues New York City faces. A thesis could be written on most of the individual bullet points in this list much less the larger themes. I’ve tried to link to insightful and readable articles to help the reader dig into issues they are interested in but I know even that gives an extremely incomplete picture. As I mentioned above, this is meant to be collaborative work in progress. If you have any contributions or want to pose some changes to this list please contact me or collaborate on the post on Github.